The Becoming a Parent Milestone is an opportunity to rejoice in new role of parent, the addition to the family, and the joys and challenges that come with it. Each child added to a family changes the dynamics, joys, and challenges for the role of parent. 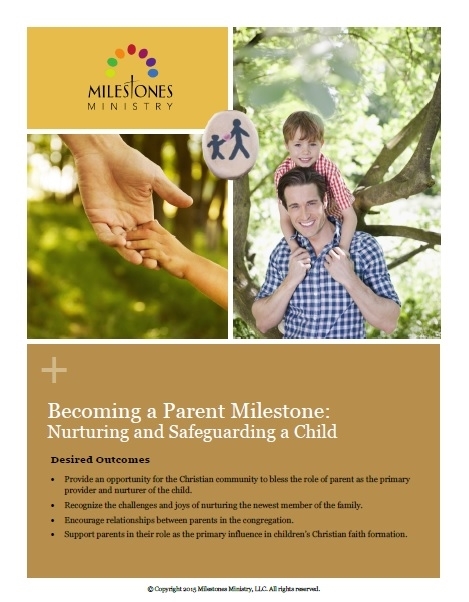 This milestone includes the Four Keys for practicing faith outline which encourages the connection between home and congregation. A simple five-step structure is also included to intentionally invite the faith community to recognize the milestone and celebrate it together to establish a solid base for community outreach. These pottery Becoming a Parent stones are individually hand-crafted and available at a low cost to purchase and gift as meaningful reminders of this milestone event.